If you're new to cloth pads, you probably have lots of questions! Learn the how and why behind using cloth menstrual pads here, plus find answers to the most common questions about making the switch. We have prepared here the most Frequently asked Question about cloth pads. 1. What are the difference between reusable and disposable pads? - Cloth pads has wings that snap into place; there is no adhesives like it with disposable pads. - Cloth pads tend to breath better than disposables because they are not made of plastic (although some cloth pads have a waterproof breathable lining). This makes them more comfortable than disposables. - Cloth pads are more fun than disposables because you can get them in a variety of colors and prints to match your personal style. 2. Why would I want to use cloth pads instead of disposables? - Have less exposure to potentially unhealthy harmful chemicals. - Never again deal with an adhesive wing getting stuck in the wrong place. 3. How long can i expect a reusable cloth pad to last? Most cloth pads are estimated to last up to 5 years if they are properly cared for. Some people says their's last even longer. That estimated 5 years is based on the assumption that you have a rotation of about 10 pads. 4. Sorry to be gross, but do reusable pads smell? The good news is cloth pads end to stay fresher than disposable pads. That is because their fabric breathes which allows moisture to evaporate. Less moisture means fewer bacteria to produce unwanted smells. If you do notice an odd smell, common bacterial imbalances could be to blame. That is something to check out with a doctor. 5. Can I use cloth pads for incontinence? You can absolutely use it for light incontinence. People with this issue usually need to wear some kind of protection every day. When they wear disposable, plastic based products, they run an increase risk of getting yeast and bacterial infections, in addition to ordinary irritation and chafing. Cloth pads can be heaven-sent for people who need to wear a pad every day due to their comfort and breathability. 6. Can I use cloth pads immediately after giving birth? Cloth pads are an excellent choice for pospartum wear, especially the longer and thicker overnight pads. Many women soak their pads in soothing formulation to wear against their skin to promote comfort and healing after giving birth. Cloth postpartum pads seem to be a natural for women who chooses cloth diapers for their babies. 7. Aren't reusable pads bulkier than disposables? It all depends on the pads. Some pads are made leak-resistant by the thickness of their fabrics. 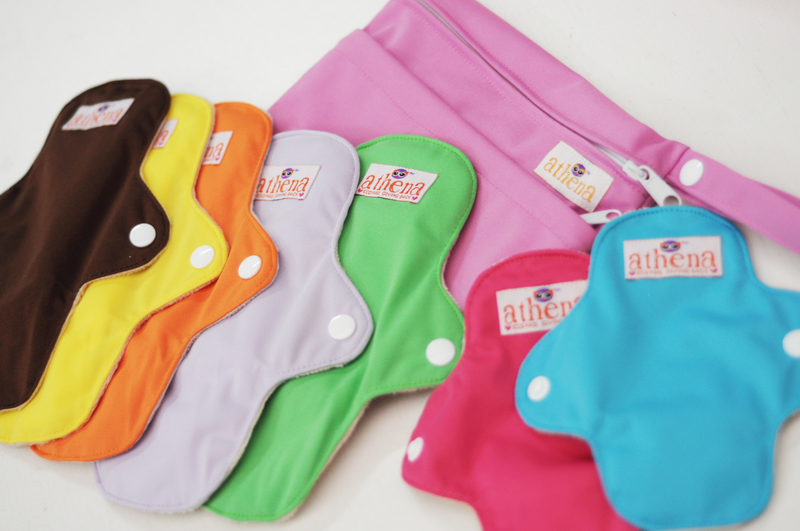 Other cloth pads have a waterproof lining, so they require less cotton fabric than pads with no waterproof backing. The thickness of the pad also varies based on the flow level the pads are designed for, and whether they are an all-in-one system or have adjustable inserts. 8. Can teenagers use cloth pads? They sure can. They may want to start with pantyliners or small size pads to see how they like them. Starting early with cloth pads can help young people feel in control or their cycles, and teenagers love the many colours and prints on the cloth pads.